Let’s claim this word. What is motheristing? It is a twist on the Feministing website, originally organized by Jessica Valenti. Only in the case of Motheristing, we are committed to thoughtful commentary, critical analysis, and social engagement on the topic of m/otherness: how our connected (and disconnected) status inspires us, thwarts us, and drives us to examine our perspectives, our roles in society, and our very personal experiences. 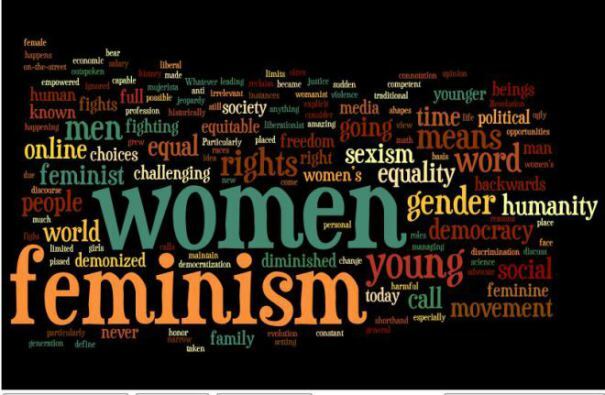 After you write your post, submit it to Wordle and make a word cloud like the one featured here. Format a jpg and send it along with your post to JourMS.@gmail.com. We’ll put it up, or send us a request to become a regular guest blogger, and we’ll get you the right coordinates.